Rail fares in Switzerland are relatively expensive if you buy on the day and can be a deterrent to visiting and exploring what is a rail travel paradise. Swiss Railways introduced a range of discounted fares that with a bit of planning makes travelling by train much better value. One of the recent innovations is the opening up of the Swiss Day Saver Pass to all – previously they were only available to holders of the Swiss Half Fare Card. With the Saver Day Pass you can travel throughout Switzerland for a day on all routes marked by solid lines shown on this map: Swiss Travel System Whether on SBB trains or trains of other rail companies, on boats, buses, trams or postbuses – the Swiss Saver Day Pass allows you to travel in many different ways. 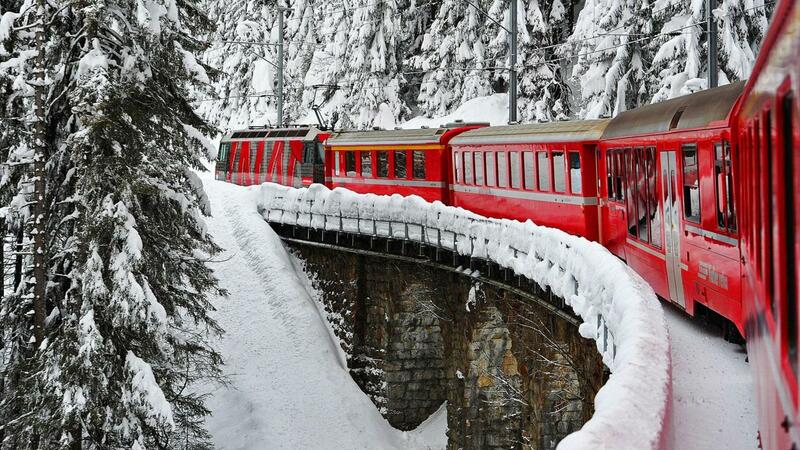 The Swiss Saver Day Pass is available for both 2nd and 1st class. The Swiss Saver Day Pass must be booked in advance: from 60 days in advance up to the day before travel. They cannot be purchased on the day of travel. The price of the pass starts from CHF 52 for 2nd class and CHF 88 for 1st class – which considering a one way ticket from Basel to St Moritz costs CHF 96 or Geneva Airport to Zurich costs CHF 92 to buy on the day offers good value! To get more information and to book a Swiss Saver Day Pass click here.